With the latest technologies through planning and development, we, "A.g. founders and engineers", have carved a valuable niche for our products across the globe. We continually innovate our product range so that we are able to provide a unique integration of quality, functionality and competitive prices. This is T 25, 12" X 12" Plain with 1 Sq. Ft. coverage area and 19 mm thickness. - 100 pcs. For 100 sq. 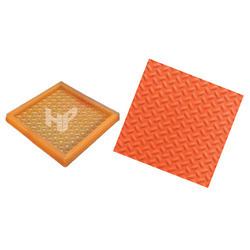 Ft.
We make Rubber Molds used in making Wall Tiles, Paver Blocks, Floor Tiles. Etc. Our Molds are long lasting with more than 400 Cycles. The design and size of the Molds is aptly suited for all type of concrete tiles. 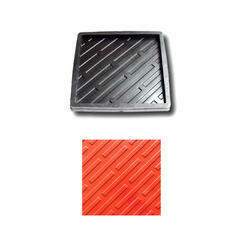 36 Square Box Floor Tile Rubber Mould have 25mm X 25mm 36 Square Boxes.